We merged the Cadillac and Reformer to create a user-friendly system that offers incredible versatility and easily shifts to both modes. 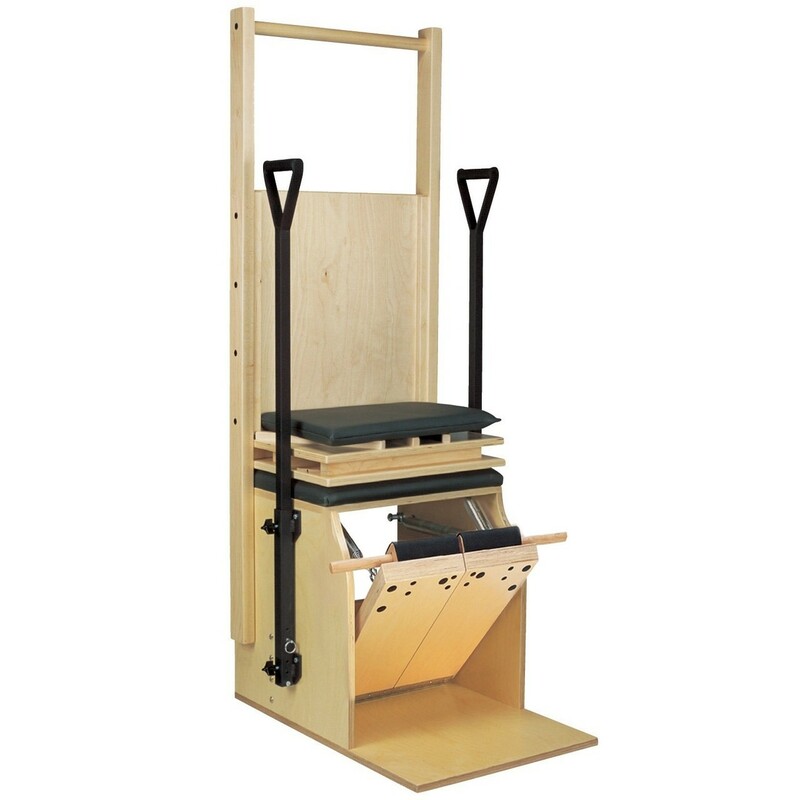 Comes equipped with rope and risers package, in oak wood finish and with black upholstery. 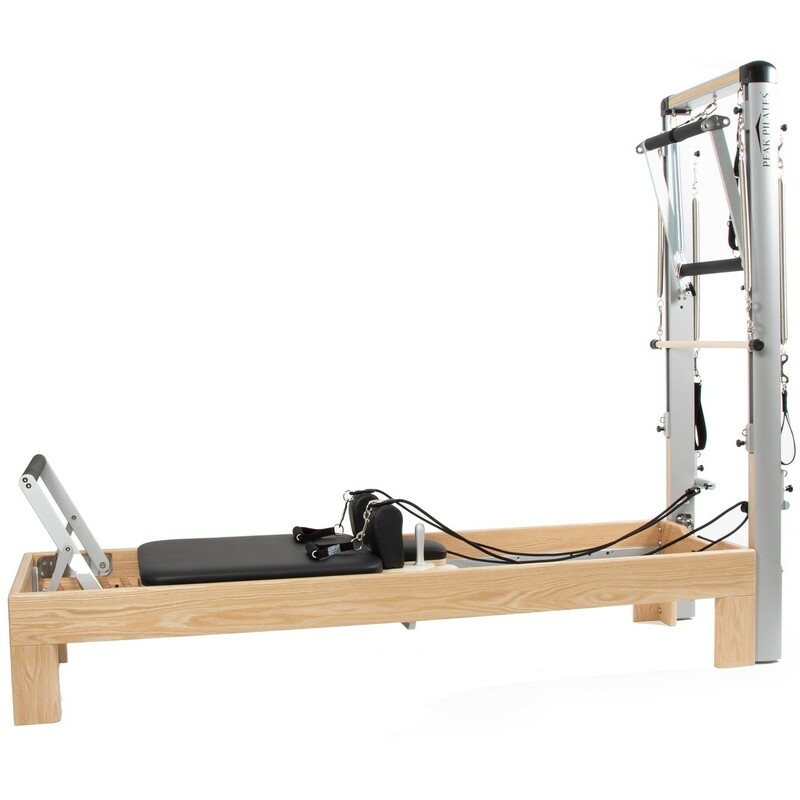 Ideal for the rehabilitation market with maximum versatility and expanded exercises options for a total integrated workout that incorporates much of the traditional Cadillac repertoire as well as other functional training exercises. 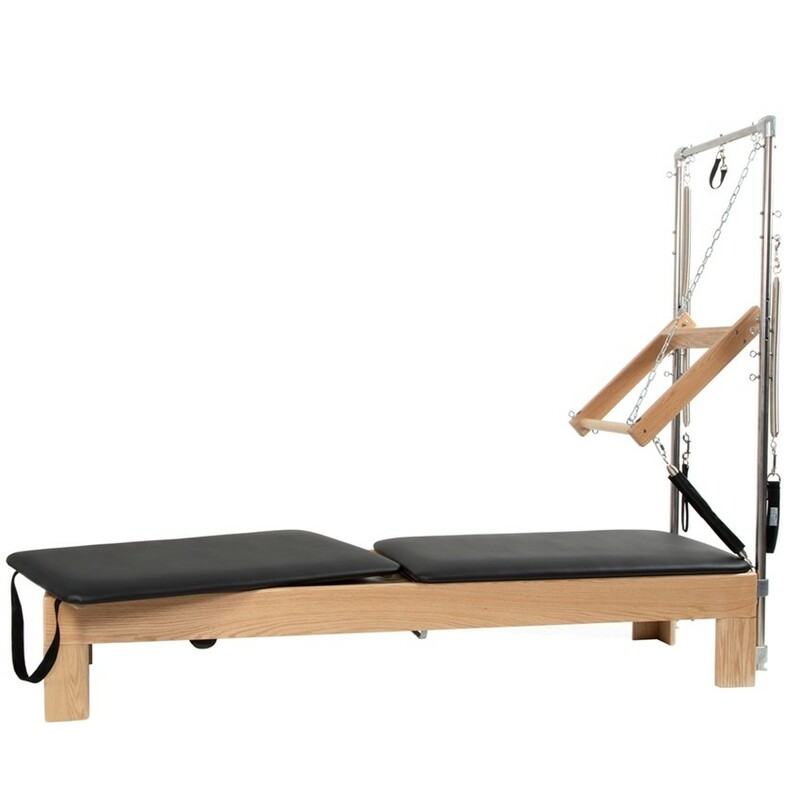 The twin mats securely fit into the Artistry™ reformer carriage frame for expanded use in mat or tower mode. Strong, stable and easy to convert from one mode to another, this chair resolves the issues of instability and design integrity that are often associated with combination chairs. Adjustable handles and seat height adjuster ensure that whether in low or high mode, seat and handle height are correct. Choose traditional or split pedal.